Hello my loves :* how’re you all today? Before starting another long long week, to freshen things up, I’ll take you with me to a wonderful trip to Costa Rica🇨🇷 ! 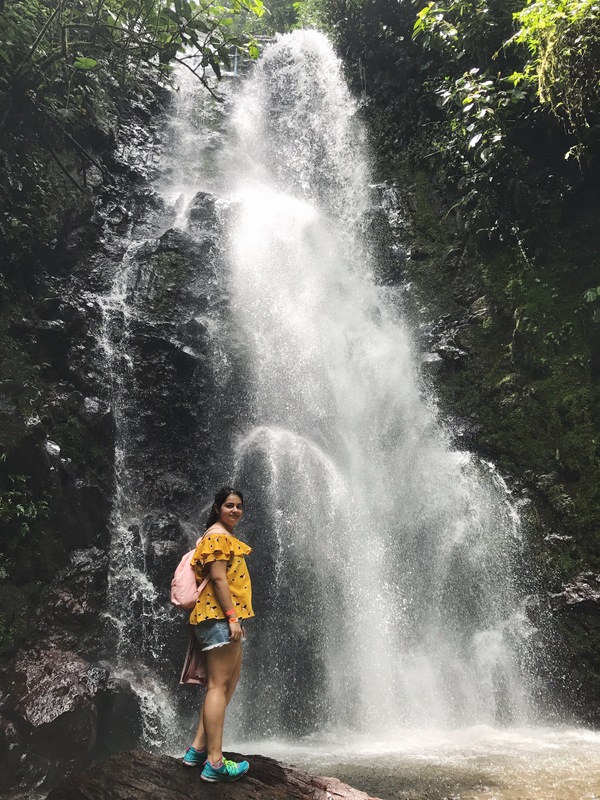 I visited Costa Rica a few months back, and just for a 3 day trip but I managed to cover a whole lot in these 3 days and had a beautiful trip! Starting off I went with 2 other friends and we took our flight from Orlando Friday afternoon. It was a direct 3 hour flight taking us to San José which is the capital city of Costa Rica. In case you’re interested in going there, you don’t need to get a visitor visa if you have a valid USA visa. You do need your passport to travel and it will be stamped on entry and exit and also need all relevant documents to re enter the states. So after the technicalities let’s get on with the fun 😀 landed at San José Friday night and it took a long time to complete customs and immigration so by the time we reached where we were staying it was already late evening. We rented a car for the whole trip from the airport itself. We went in May and it was rainy constantly. I have a wonderful job, I live in a place where many dream to live, I travel to a new place every month.